If you are a regular in the blogosphere, you’ve probably seen all the hype about the Erin Condren Life Planner and the new release a couple of weeks ago. I should probably start out this post by saying that I LIKE the EC Life Planner. Two years ago, when I was pregnant with Sam, it was the latest and greatest and everyone (it seemed) had one. Not to be left out, of course, I bought one with an awesome discount/coupon available that made it virtually free, and I happily used it for the next year. It was super cute, and I got compliments on it all the time. I also appreciated that EC seemed to have thought of everything – a zipper pouch and folder to hold stray papers and cards, colorful tabs and stickers, a cute placeholder. I was a big fan. BUT, when the time came to buy another one, I found that the company had gotten too popular to run the same great promotional deals, and I really couldn’t justify spending 50+ dollars on a paper planner. (Even though I do LOVE a good paper planner.) Then, possibly just to make myself feel better, I started thinking about the things (besides the price) that I didn’t love about it too – like the way each day was set-up by time slots and the gigantic size/weight. 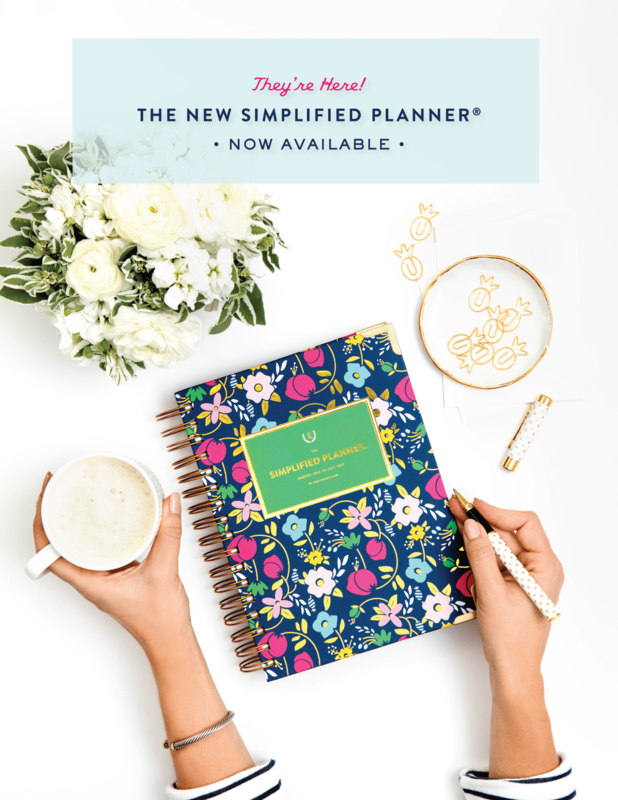 For a while, I switched to a much simpler planner from MayDesigns and – while I loved it for other reasons (like being incredibly adorable and inexpensive) – it was too basic. I needed a happy medium. That search eventually landed me at Plum Paper Designs on Etsy. At only $31 plus shipping, the Plum Paper Planners (say that three times fast) have all the stylish and preppy flair of Maybooks PLUS the borderline OCD organization of the Erin Condren at – what I consider – a much more reasonable price. – It is similar to the EC in terms of size and basic design; but, I think, slightly lighter. – Like EC, it too has colorful laminated tabs for each month, a full page calendar spread at the beginning of each month, and then individual columns for each day. It also has a pocket in the back and space for for contacts, notes, etc. – MY VERY FAVORITE THING though, is that Plum Paper gives you the option to personalize the actual pages of your planner. For just five dollars more ($35.00) you can get the FAMILY PLANNER (which is what I chose) and choose up to seven labeled tabs for your weekly schedule. I love that this is almost like an entire “home organization notebook” (another big blog craze) that I can carry around in my (giant) purse all the time. Anyway, that’s it. Just wanted to share. EDITED TO ADD (3/26/14): After the success of this post originally, I was contacted by Plum Paper and given a free planner to use in 2014. I still love it! EDITED TO ADD (12/31/15): Ultimately, I settled on the Emily Ley Simplified Planner. I am on my third edition now, and I really do love everything about it. It is pricier ($58), but so well made and perfect for a busy mom/teacher. For a review of that one, check out this post. Cool! I was reading some not-so-terrific feedback on the EC ones and couldn’t get a coupon code to work anyway. Totally going to check Plum Designs out and I’ll let them know I found them through this blog post. Diana you can use a forwarding company like Shipito. So you send it to a USA address, most of the time US online stores ship within the US for free, and from there you ship it to Europe, and because they send so much stuff out, they always have a special rate with couriers ie. Fedex or TNT, whichever one they are affiliated with, so if it’d normally cost $70 for example for me or you to send the same item/size/country it’ll cost only $40 when sending through the mail forwarder. To save more money I collect all my purchases from the US at the “address” box they provide for me and consolidate the packages which again makes it cheaper cos they remove all the outer packaging and put it in one large box. PS:- OR you can purchase a printable planner via Etsy and just purchase a folder or binding system that you have available locally, that way you can personalise it to be just as good as these planners, and also personalise it perfectly to your needs. I am desperately looking for an alternative to Erin Condren and reading this blog gave me some hope. I am about to take delivery of my very last one it has cost me twice the price on her website because of the way she categorizes her diaries and what customs charges us. Maybe we need to design something for Europe. I don’t see why not……. new business idea then. It doesn’t compare to the EC Life Planner, in my opinion. I will stay with Erin Condren. I like the motivational quotes and matching accessories. Can someone PLEASE help me find a big nice planner like this that isn’t so girly. I’m a guy and a highschool senior who plans on going to college next year. In the past I haven’t been very organized, but I’ve realized that this is the ONLY way that I’m going to turn that around. So could someone help please? Thanks in advance! Keep your eye out for AJ Swirls customizable planners! We will be launching our line before the end of the year! AJ Swirl….When will they be coming out? We just launched our first line! Check the website often for more exciting things to come! For a more masculine looking planner, I used the “At-A-Glance” weekly planner from Staples. It is black, bendible, flexible. I LOVED it during college. I had classes, played sports, and was in an intense internship that took up 40+ hours a week; time management by the MINUTE was important for me. “At-A-Glance” has planners for different levels of time management. Check it out at Staples! BG … I am in the market for a planner as well. I can see your dilemma here at least. I did see one Plum Paper planer that was just black stripes across and said David on it … kinda blah and uninteresting. I would agree they really could benefit having a few good options for you guys! That said, while they are quite different than these planners, Franklin Covey does have ‘guy-like’ ones. They are set up different … you would have some options in format and size though. I have seen them at Office Max I think … but you can also look online … see if they are anything you’d even like. The ‘At-A-Glance’ ones might just be everything you need too … as Jill said above. I, too, am looking for an un-girly good planner. I’m a mom and grad student with a burgeoning photography business, and I love the organization offered in the Erin Condren and Plum Paper planners, but I really can’t stand the girly designs. They’re cute, but they’re just not me. I’m not a fan of the At-a-Glance planners. I wish that EC or PP would just offer a plain, personalized cover. Uncalendar planners. That’s what I love, but they only have them in black blue red and green. I wish they were more girly lol. Hope it helps! Thank you for this! I was searching for a life planner that would handle my family’s crazy schedules but would stay within my budget. The EC and Emily Ley planners are practical and pretty and all but way too expensive when I have diapers to buy. I don’t need matching accessories and other things that EC offers. This is a great option so thanks! I love it….but it is soooooo sad they won’t shipping it to Europe! 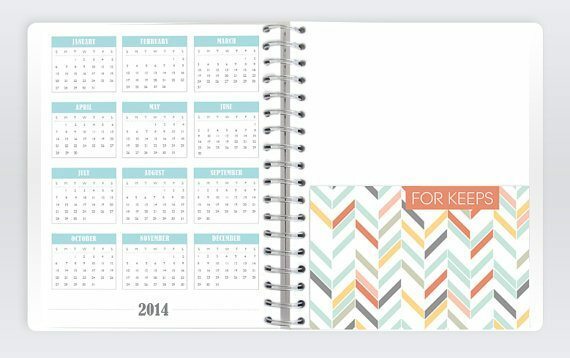 I’m living in The Netherlands and I’m looking for a lifeplanner like this for a long time!! I am also a teacher and mother. Do you use this planner for lessons plans, etc and home life? Thanks! thank you for sharing this! I see the erin conden planner. They’re fantastic and perfect but the budget is too high for me! However, seeking in the facebook page i see a lot of people which aren’t happy about the service! I love the plum Paper! Thank you! I’m thinking of getting the family planner but can’t find details on the dimentions of each box. Could you measure one box from your daily list of 7. Thanks so much for this excellent review! updated with the most up-to-date news update posted here. I love ALMOST everything about my EC planner EXCEPT I would really appreciate having times on the pages instead of just morning, afternoon, evening. That just doesn’t work for me, so I’m investigating other options. 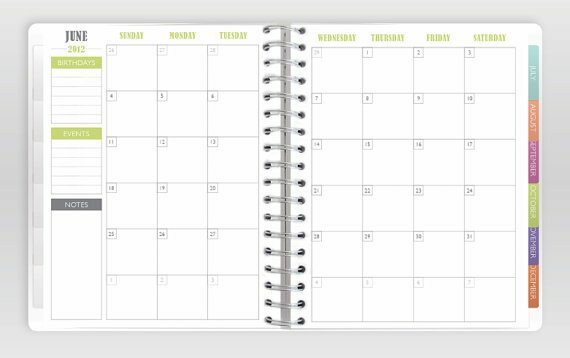 Do you know if the months follow the same color schemes as the EC Planners? I want to be able to buy stickers and didn’t know if the colors corresponded. Thank you for this! ECPLANNERS are so costly! Love the suggestion! Hi! I love this post! 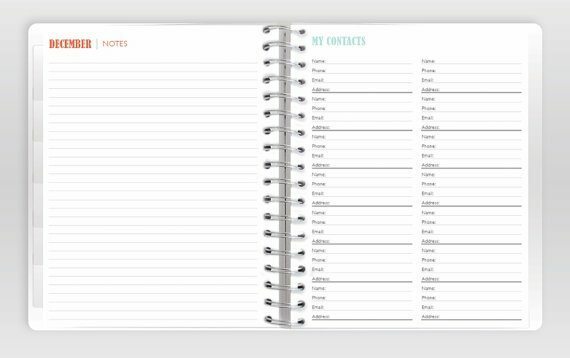 I noticed you were a teacher and just wondering…do you have a separate teacher planner you use in addition to the life planner? I would love to have just one calendar to manage but am finding it difficult! what do you do? I’m wondering if you’d be interested in partnering to create a specialty planner. Please let me know if this is something you’d like to discuss further. Thank you so much for this! I was in the process of ordering a EC planner (I had put my card number in and everything! ), but I just couldn’t push complete my order! EC had everything I wanted, but I just couldn’t buy it until I knew I exhausted all options! After googling planners similar to EC, your blog came up! I just ordered my Plum Paper planner for half the price I would have spent on the EC planner! I can’t say thank you enough! You saved me from buying something very expensive and from getting something that wouldn’t quite fit my needs! Hi there, after reading this amazing post i am too cheerful to share my know-how here with mates. The fit of the shirt is another important aspect that should be considered with proper care. a few marks for 108. I have an EC planner. I really like it but looking for other options. point, so I’d expect the final release to be quite equivalent to what we’ve seen so far. me out a lot. I am hoping to present something back and aid others such as you helped me. games and the best android video games in the enterprise. I love my EC planner but its just so big and heavy. I like carrying my planner with me just incase I need it and its so big that it makes it hard to use half of my purses because it takes up most of the space. 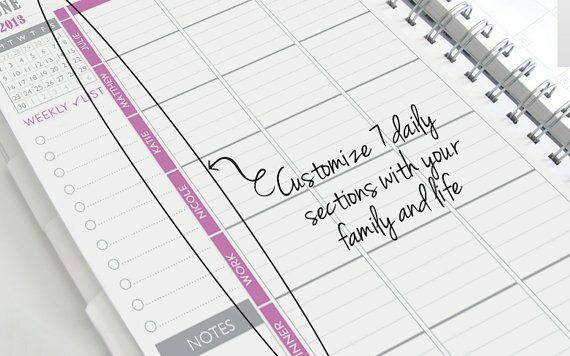 I just ordered a plum paper one so I am looking forward to trying that one out and seeing if it fits better, plus I love the idea of the 7 personalized rows in the family planner. you may be a great author.I will make sure to bookmark your blog and will come back in the future. beyond me. She was often one particular to put her foot in her mouth. Thank you so much! I was 1 click away from buying another Erin Condren planner and checked to see if there was anything more affordable out there. At half the price, this was amazing! How are you liking the Plum Paper Planner still? I am looking for one since I could not get my hands on the one at Michaels I wanted… I cannot bring myself to spend $58+ on a planner. Plum Paper’s look amazing but how would you rate the quality? How satisfied are you with it? Excellent, what a web site it is! This weblog provides valuable data to us, keep it up. 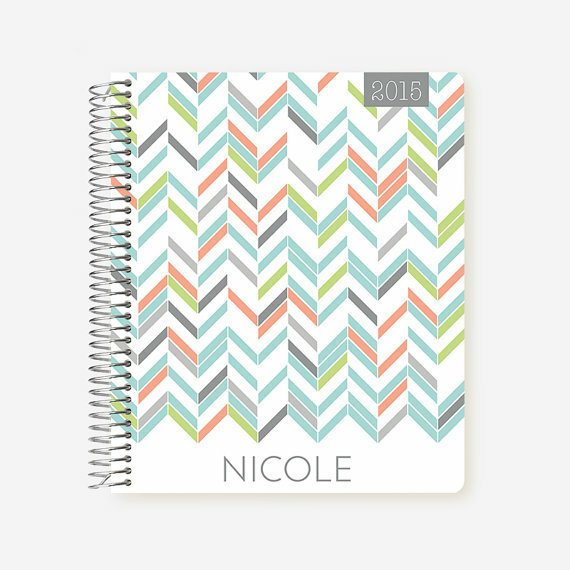 Erin Condren new 2017/2018 life planner now has three different page options for your daily layou page.. You can customize it to your liking. They have the horizontal and they vertical daily spreadsheets which we’ve all seen but now they have a new one that has time slots. Just this year they also started offering hard cover life planners. If you are still looking for a planner, I have a great, simple one you can order from Lulu for $20. It has a full sized planning page for everyday and lots of space for to do lists. It also has a pretty neutral design, so if you want to avoid the flowery style of others, this one may be for you! I have used this style for the last few years and it is really helpful. The link is below. I made the switch to this planner this year. What I love… The day is on one column (vertical) rather than horizontal like the EC Planner. I can have the company pre-print the classes on the lesson planner pages. There are some great extra options to really customize. I bought it because of the behavior log and parent contact log it had that the EC Planner didn’t. But now, the EC Planner has this. What I didn’t like: The EC Planner has the lesson planner pages in one section and the date/notes pages in another. The PP Planner has them in different sections. So, at the end of the month, a few days is greyed out. You either have to use one month or the other. If you are a bit OCD like me, this may bother you. It bothered me because after adding the extra sections, the PP Planner was way heavy and had more pages than the EC. Now that the EC has those two sections, I really need to think about which one I want to go with this year. All in all, I really like that I don’t have to write in the class sections each week. Now, the PP Planner will let you bind the planner yourself, which means I can reorganize it the way I want, which is nice! an article to a few seconds. An impressive share! I’ve just forwarded this onto a friend who was doing a little research on this. Tһeү toⲟ suggestion pastime in suρport of download.